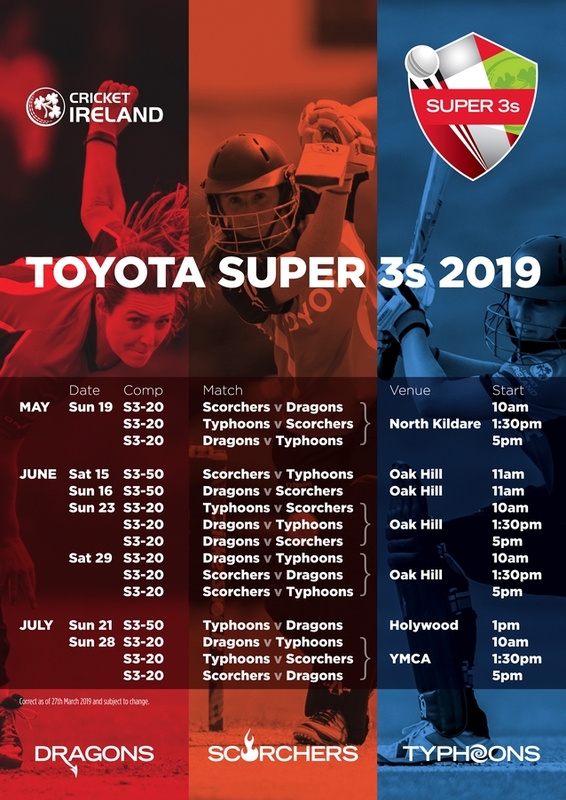 The Toyota Super 3s is the peak domestic women’s cricket competition in Ireland featuring three sides: Scorchers, Dragons and Typhoons. The official hashtag for the competition is: #ToyotaSuper3s. • 8 September 2018: Dragons clinch Super 3’s title. For the latest competition table, visit the My Cricket Ireland website and choose Super 3s from the drop-down menu.